Due to having received numerous requests from the community and their family members asking to be a part of AlchemE, we re-opened enrollment for one week. ENROLLMENT IS NOW CLOSED UNTIL 2020. We look forward to sharing with you in other ways this year. Click on Events at the top right of the page to learn about more opportunities. The energy of AlchemE is here for all of us…we can all listen to the calling towards MORE. Imagine what will happen in a year of exceeding what's possible. 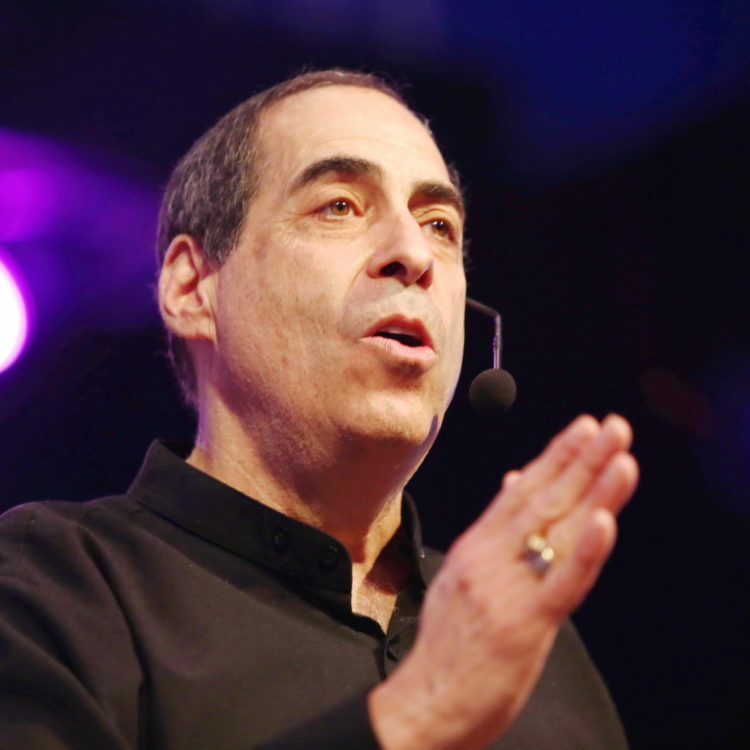 For the first time ever, Donny Epstein is making available for you, the profound personal energetic skills, strategies, and awareness that allow for the creation of his methods and their magical impact on individuals and the field. We are at the precipice of the next tier of human consciousness, which will offer and require never before available possibilities, strategies and skills to be expressed between you as a person, and the energetic and consciousness field around you. In this one year in-depth course of inquiry, Donny will demystify and reveal the AlchemE of creation and the experience of reality. He will show you how to effortlessly connect and direct these unseen forces for tremendous contribution, manifestation and impact in the world. AlchemE will teach you about the sacred relationship between how you observe yourself – emotions, dreams, thoughts, fears, hopes, goals, gifts, relationships, intimacy, achievement, and love – and the impact you have on others. It is designed to help you to explore and practice this energetic mastery in your life. the seemingly magical process of harnessing the unseen energetic forces of life to effortlessly create the extraordinary. Choose to be a part of the trailblazer AlchemE Community! Visionary. Mentor. Sage. Inventor. Energetic Master. Doctor. Some call him an Oracle. Over the past 40 years, I have personally worked with several hundred thousand people – helping them create profound and extraordinary change in their lives. I have developed systems of human wellbeing and life transformation, practiced by thousands of practitioners, and received by millions of people around the world. University studies have been conducted based upon my human technologies, and their ability to upgrade the human operating system, leading to the recognition of a person’s authentic energetic and informational signature. experience, I offer you the practical skillsets of pure AlchemE. Every experience is a shared energetic experience. Read that again… Every experience is a shared energetic experience. with people who have ‘tried everything’ for years to make some kind of change in their life, and with working with them to master their energetic reality they quickly are able to make and sustain the change. extraordinary adventure so you too experience a reality beyond your wildest dreams. Times are rapidly changing and this next tier of human possibility beckons seekers to step into an expanded ability to respond to the future’s calling. I have realized that it is time for me to dedicate my life to impacting people as souls more then roles. This is my gift. Now is the time to launch this trailblazing offering where I will share the magic and calling of the energetics of this next tier with a select group of seekers. AlchemE marks an opportunity to live, bathe and saturate yourself in the field of possibility over a full year with me as your guide. I have worked with many of you and the transformation and awakening we are able to achieve is beyond the beyond! This impact is growing exponentially as new rules of energetic use and engagement emerge rapidly upon, around and within us. Imagine what it will be like continually reinforcing the strategies, going deeper and farther, and manifesting your greatness during the upcoming year! For those of you who have been to one of my events, you know that I know how to deliver. AlchemE is a dream come true for me. I finally have achance to deliver to you the secrets of energetic mastery that I have discovered, developed, and ‘downloaded’ over the past four decades. All of this in a way you will be able to quickly and easily apply in your daily life. I invite you to join me on this journey. We're a community of souls who feel the quickening – and must know the secrets and strategies of the sheer magic of creation, manifestation and living. Join us and collaborate with the magical process of harnessing the unseen energetic forces around you to effortlessly create an extraordinary life and uplift humanity’s evolution to a new level of MORE. An extensive, exploratory unit of inquiry will stream to your computer or personal device, bringing Donny and AlchemE to you! Zoom calls with Donny, where he will interact with participants to see the AlchemE magic in process. As part of the weme, you will receive videos with Donny interacting and exploring with people. Witness the AlchemE content come alive. Features Donny and a globally recognized expert and leader in wide-reaching areas having an unedited ‘raw’ discussion on fascinating and impactful topics. With each module, Donny will answer selected questions that are sent to him from AlchemE participants. Topics are unlimited! An extraordinary community of Seekers gathering to be, support, and influence the transformation and awakening with the magical energetics of this next tier of humanity. You will be invited to an exclusive online group to be able to connect and discuss. Evocation – Each weme begins with Donny’s call to be raw, real and beautiful with the AlchemE content. Calling on the manifesting powers of your energetic reality, Donny presents a prime question and focus for the possibility expanding monthly weme content. Learning will occur through transmissions involving the higher intelligences and dimensions, the mind and emotions with teaching strategies, interactions with others – and ultimately, through the change in your own personal field. From this you’ll dive into the expansiveness of the content filled with practical strategies for exploring your EpiField. Downloads and Hacks – Wisdom guidance from Donny on how you can better access/navigate the EpiField to more effortlessly manifest and influence in the world. Lessons, strategies and maps downloaded from the master to seamlessly explore and more fully live and celebrate life. EI-spection – Short for Extro- and Intro-Spection, each weme’s EI-Spection section is filled with experiential self and group learning exercises and explorative questions to most fully integrate the content. Interactives– Wemes contain ‘live’ Donny interactions or demonstrations with individuals to help illustrate the raw, real and beautiful power of the inquiry. MORE – The MORE section of each weme contains additional resources to help expand and contextualize the weme content for even further exploration of the topics. For those people who want a greater immersion with Donny over the year there is an option for additional exploration and experiencing. In addition to all of the magnificence of the AlchemE experience, you can additionally enroll to receive MORE interaction with Donny tailored towards your unique experiences. This first ever offered LIVE weekend experience will explore the sacred relationship of Masculine and Feminine from the next tier of consciousness. Each week you will receive a special recorded audio message from Donny, which include his secret tips and strategies for mastering your energetic EpiField. Donny makes himself available to you in this monthly Q&A call to answer questions directly from AlchemE MORE participants. During these calls you can ask any question, and Donny will rain wisdom on it for you! ***10% Discount on any EpiEnergetics Institute EpiLiving Events During the Year! Offered for early energizers enrolled by December 31, 2018. Applies to any EpiEnergetics event including Donny's EpiExchange Experiences (ULTIMATUM, AWE), except clinical trainings and private events. This is your year of total exchange. Never before has Donny offered this type of experience. If you want to go beyond the next level to the next stratosphere, this will be your real opportunity to live that next level. Donny will work with you individually, just like he does with his private clients where he charges thousands of dollars per hour. Donny has never offered a 1-on-1 experience in this form with the exception of private clients. The focus is all YOU and achieving what you want to more embody and exchange towards. There are very few people who ever get to experience Donny in this capacity. You know that your destiny will never be the same again! (Energetic Mentor sessions will be approximately one hour in length, and will be offered virtually). ** Enrollment in the AlchemE MOST is by application only and will have a limited number of participants. All applications will be reviewed by Donny Epstein before being accepted into the AlchemE MOST experience. AlchemE MOST is specifically for your personal awareness and application. Additional AlchemE Bonuses for Everyone! Sign up by December 31st and receive your own BONUS Gate in 2019! Through January 31st, 2019 we are offering AlchemE at a significant reduction from its 2020 experience price. This all for being a trailblazer in AlchemE and being a leader towards the next tier of human consciousness. Discount and details listed below! How does AlchemE compare with Donny's ULTIMATUM experience? See What Ginger has to Share about Her Experience! *During the year of AlchemE. Offered for early energizers enrolled by December 31, 2018. Applies to any event including Donny's EpiExchange Experiences (ULTIMATUM, AWE), except clinical trainings and private events. **During the year of AlchemE. Applies to The Gate and Energetic Experience. Does not apply to Donny's EpiExchange Experiences (ULTIMATUM, AWE), private events, or clinical trainings. Enroll TODAY in AlchemE MUST or AlchemE MORE! ﻿AlchemE officially kicked off February 26, 2019! Enroll now to ensure your spot in the trailblazer class. Welcome! Once the first person enrolls at the standard rate shown above, their partner (the second person) will receive the pricing shown here. The combined savings are substantial! This applies to married couples and domestic partners. Have a question for an AlchemE Concierge?